Today’s the day (but not the Last Day)! 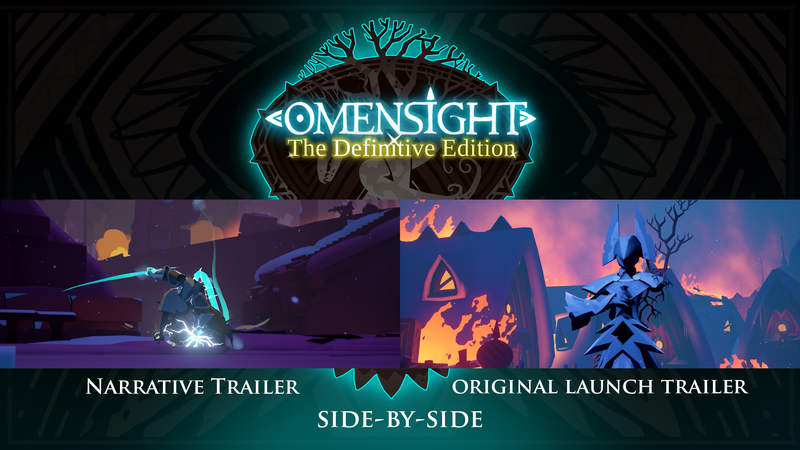 Just a quick reminder that you can now pre-purchase for Omensight: Definitive Edition for the Nintendo Switch. Get it before the release date of December 13 to get a 10% discount! Did you know that our narrative and launch trailers were designed to be watched side-by-side? Like the Harbinger, you got to experience two versions of the same event. Please share it with your friends if you like it. Feel free to share this happy news with your friends. Thank you again for supporting our indie studio! 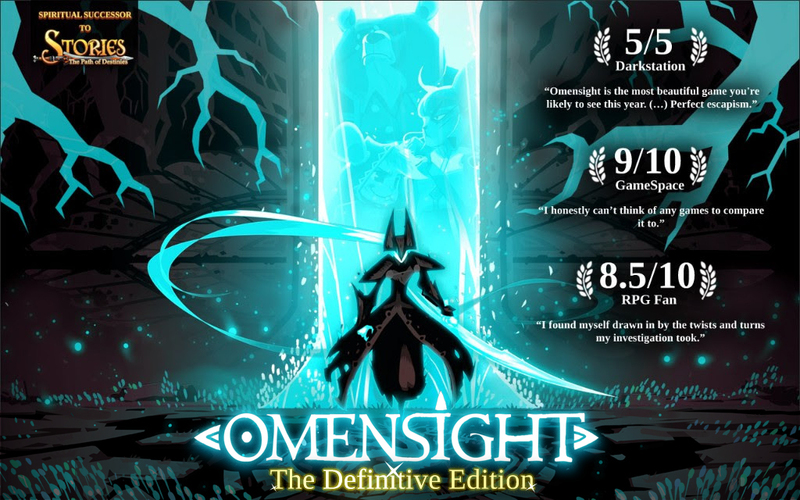 Omensight: The Definitive Edition Is Out for PC, Soon for PS4 and Nintendo Switch! We’re back with another major (free!) update. If you browse the Steam forums, you’ll see that there are many discussions about the ending of the game and the lack of option to revisit loops from previous acts. 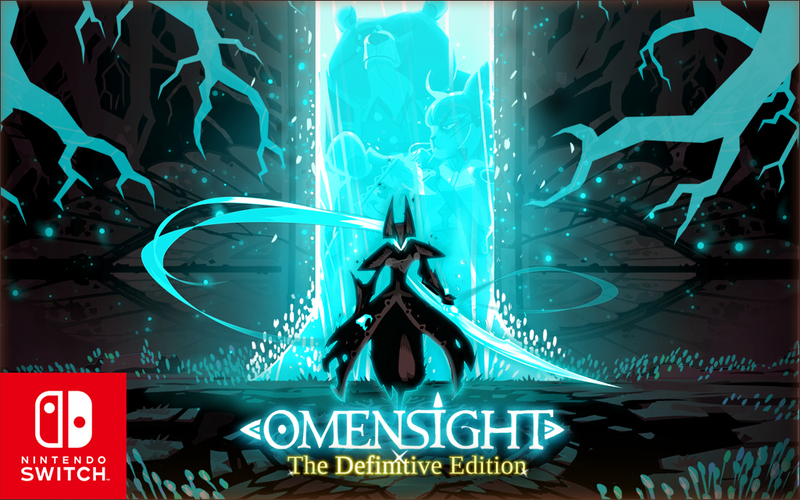 Omensight: The Definitive Edition (a.k.a Update 1.04) addresses all that valuable feedback. Players who have finished the game already can simply jump right back in and experience this all-new post-ending content! Playstation 4 owners will get this free update on October 26th. 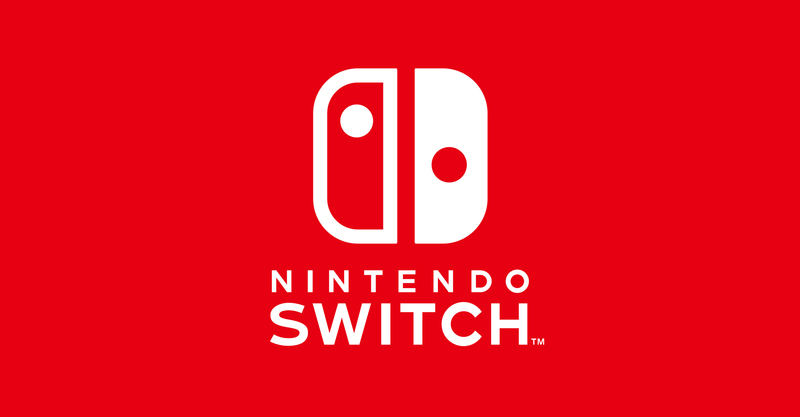 In other news, Omensight is coming to the Nintendo Switch! Many have requested this and we were more than happy to oblige. We are currently hard at work on it and we expect a digital release in November. So keep an eye for it! If you want to be the first to know what Spearhead Games is up to, including our next project, please sign up to our newsletter[spearheadgames.us3.list-manage.com] or join our Discord[discord.gg] channel. We’re also on Facebook[www.facebook.com] and Twitter.